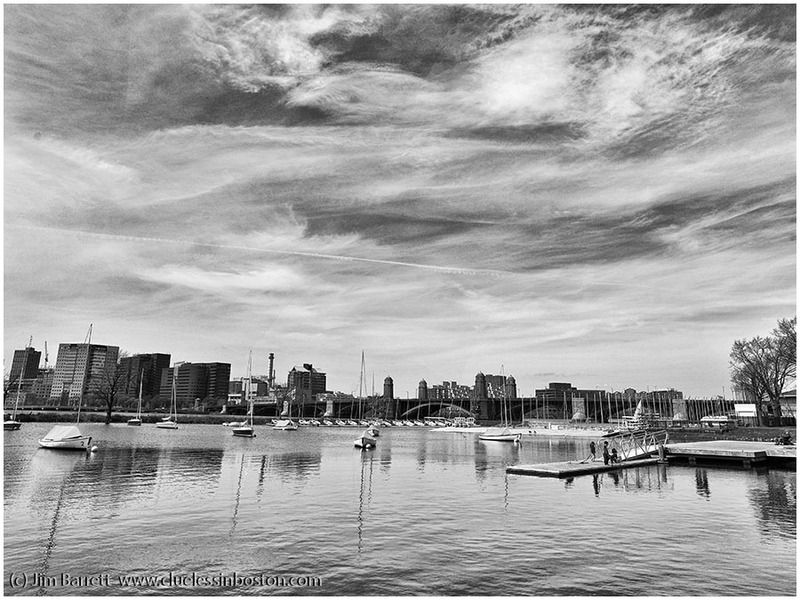 Another view of the Charles River, shot in color, on a different day here. I get by here seldom - and not because of the quality of your work, just overcrowded days - but this is a time I wanted to express my concern and sympathy for the people of the great City of Boston. Human life has always contained horrors but what happened to all of you on Monday was despicable. I know Boston will overcome it although the memory will last a long time. You could have posted this as black and white or on Skywatch. But on "Wordless Wednesday" it is especially appropriate after yesterday. There are no words to describe the heinous act of yesterday. You will remember this like we in Oklahoma remember the bombing of the Murrah building. Crazy crazy. Magnificent picture, very well captured and I love b&w in this composition!